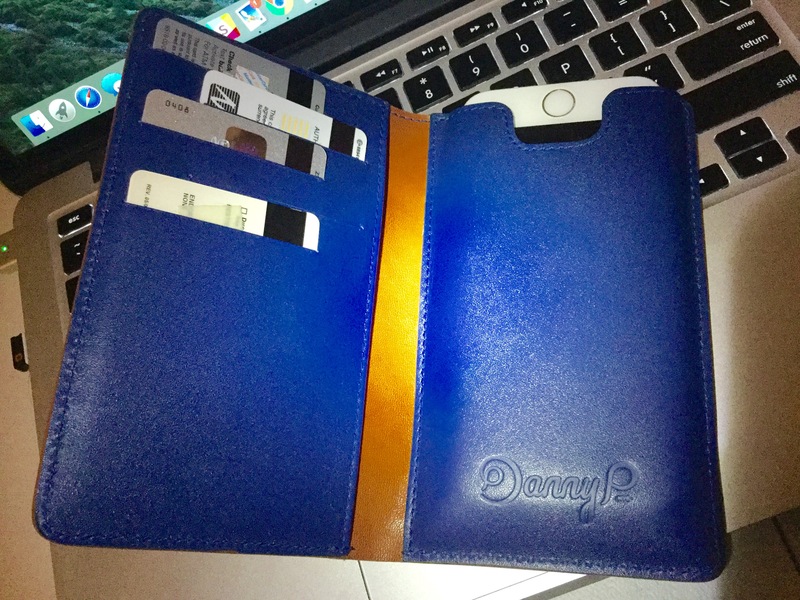 For the past few weeks, I’ve been using a leather iPhone wallet from a company called Danny P. It’s a vertical bifold wallet, with 5 credit card slots, a spot for cash, and a pouch located on the rear cover that securely holds and protects your iPhone 6 or 6s. In short, I really like this wallet. It’s beautiful, made with premium materials, and has great functionality. It’s easily one of my favorite iPhone accessories that I’ve tested in recent months. But it’s not going to be for everyone. Read on for my full review. 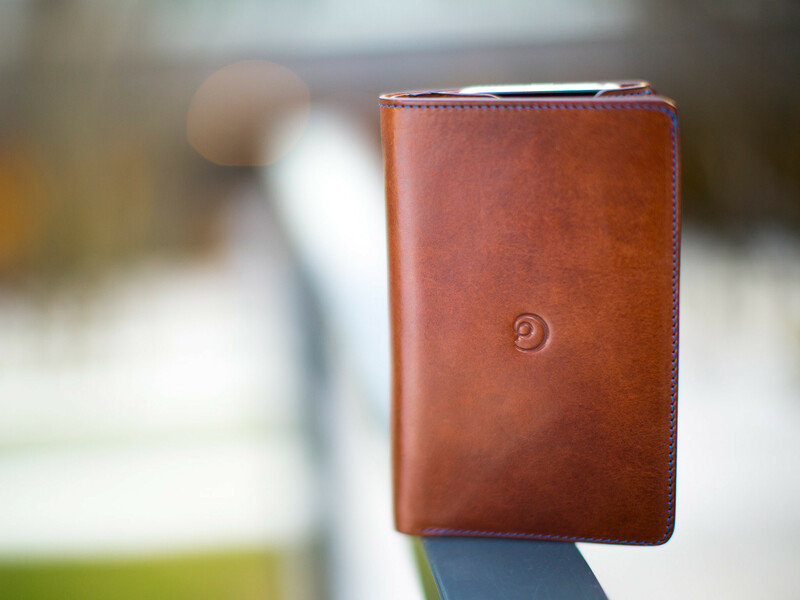 From the moment you pick up the Danny P. wallet case, you can tell it’s a high-end product. It’s handmade with Italian leather—which feels on par with other luxury brands—and it’s about the size of a passport holder. The pattern-free exterior is interrupted only by a tiny logo in the center of the front cover, and there’s a larger Danny P logo inside the back cover. The wallet comes in 3 colors: solid black, solid brown, and a brown-blue combo. As you can tell from the photos, I received the latter, which features a brown exterior, a blue interior, and blue stitching. This seems like an odd combination, but I feel like the peculiarity adds to the premium feel. All of this comes together to form a luxurious, modern, minimal design that is extremely understated—which I really appreciate in a wallet-phone combo. 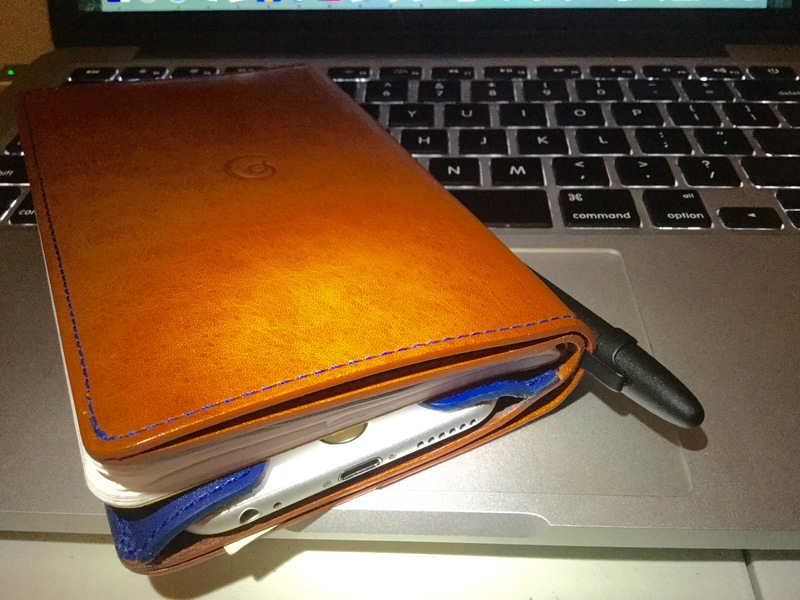 Few other accessories in this space—including TwelveSouth’s popular BookBook—could actually pass as a regular wallet. You might think a wallet case that looks this good has made some trade-offs in the functionality department, but you’d be wrong. 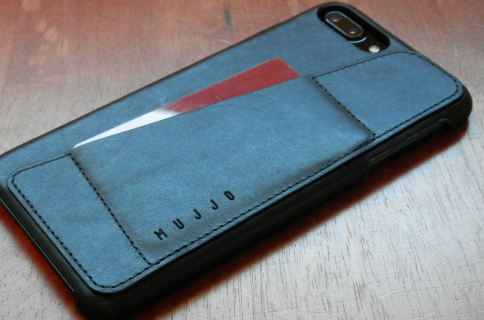 This is by far one of the most useful iPhone wallet cases I’ve come across. Again there are 5 credit card slots, instead of the usual 2-3, and there’s a large horizontal opening at the top for storing cash. This is a larger wallet, obviously, and Danny P. makes good use of the extra space. There’s also a slot inside the wallet, behind the credit card holders. I’m not sure what the official purpose for it is, but it can be used for cash, business cards, or even as a place to insert your passport. I’ve actually been using it as a cover for one of my Field Notes notebooks. It’s a bit of a squeeze, but it fits, and there are times that it’s nice to have paper handy. So think about that. At any given time, I’m carrying 5 credit cards, a decent amount of cash, a Field Notes notebook, and my iPhone 6s in this single bifold wallet. And every once in a while I clip on a Fisher Space Pen to the spine for good measure. That’s incredible. In fact, I’ve been considering posting my setup in an EDC forum. 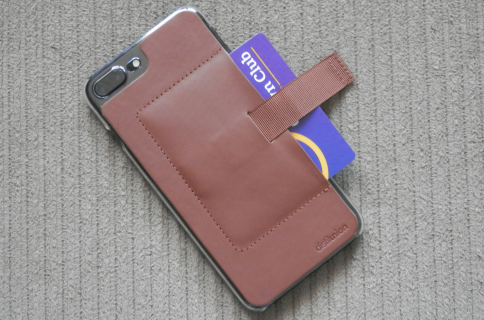 Of course, the Danny P. Leather Wallet iPhone Case isn’t perfect. It definitely has some caveats—the biggest of which is its size. Even if you just use it to carry a few credit cards and your iPhone, it still measures 5.75 x 3.7 inches, and more than an inch thick. It’s not something that can be easily carried in a pants pocket, or even comfortably in a coat pocket, so I typically just carry mine in my hand. Another downfall I can see turning off prospective buyers is the pouch for your iPhone. As aforementioned, instead of your handset sitting ready and accessible inside the wallet, it’s tucked away and virtually unusable (although there’s a small cutout for Touch ID so you can still use Apple Pay). I can see why this could be a deal-breaker. It disables you from taking impromptu photos, it’s inconvenient, and in the end, your phone is still unprotected while you’re using it, which kind of defeats the purpose of a “case.” My response to this is that I actually got used to it pretty quickly, and the positives far outweigh this minor annoyance for me. Finally, there’s the price tag. This wallet sells for $130. That’s twice as much as the BookBook, and more than 6 times as expensive as most wallet cases you’ll find on Amazon. Now, as I described the leather earlier, this is in line with (or cheaper than) similar accessories from luxury brands like Coach or Marc Jacobs, but I imagine most folks are going to see the cost as a major deterrent. As I said in the beginning, I’m a huge fan of this case, so it should come as no surprise that I would happily recommend it. 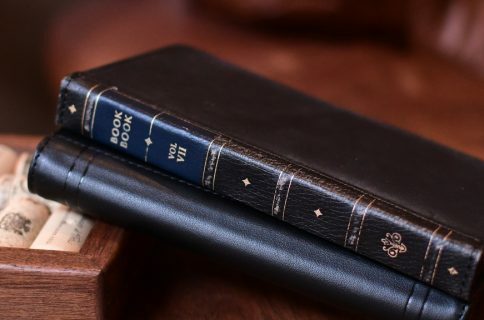 If you’re in the market for a premium iPhone wallet-case combo, you owe it to yourself to at least consider this one from Danny P. You can find it on Amazon for $129.99.